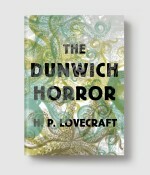 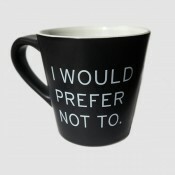 You asked for it and here it is. 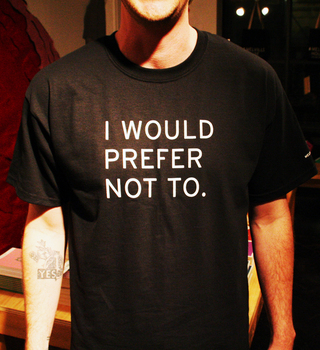 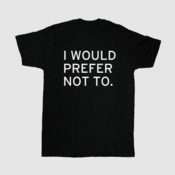 The “I would prefer not to” t-shirt. 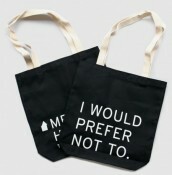 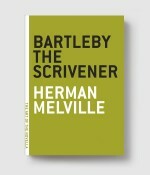 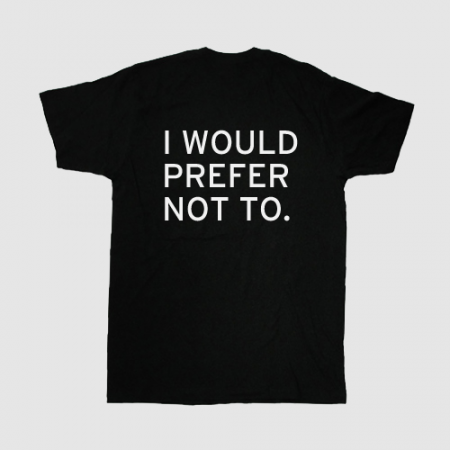 The slogan that made Bartleby famous—and our totes all the rage—now available printed on a black cotton Tee.